A high-quality man who knows what he wants will not settle for just any woman to build a meaningful relationship with. Men like this want a woman who exudes high character. And though she may be beautiful on the outside, he expects her inner worth to be far superior to the women around her. 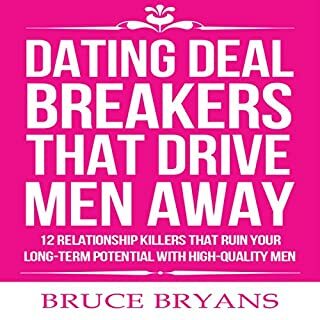 Goodhearted, highly masculine, relationship-minded men will do everything in their power to avoid falling in love with a woman who could make their life a living hell. And because of this one simple fact, guys like this are very discriminating when assessing a woman's long-term relationship potential. This is the second book I have explored with this author. Men give their undivided attention to those who respect them. If a man doesn't feel respected while communicating with you, he'll find the respect he needs elsewhere. The woman who knows how to communicate with men can influence the man she wants without resorting to "that mini-skirt he loves." A man craves the attention of a graceful woman who knows exactly what to say to him, when to say it, and, most importantly, how to say it to get what she wants. 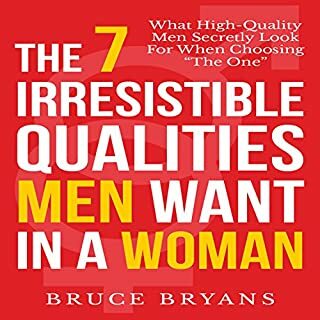 In this audiobook, you'll get an inside look at how a man thinks and interacts with a woman when he's not that interested in her. 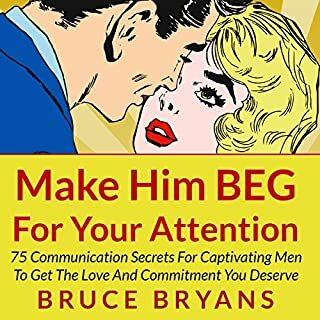 It's extremely difficult for a man to waste your time and treat you like a short-term plaything without exhibiting certain unmistakable behaviors that clearly communicate that he's trying to keep you interested...but unclaimed. 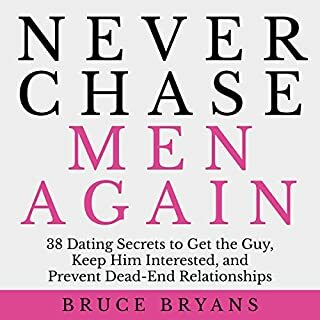 Most dating books tell you what not to do. Here's a book dedicated to telling you what you can do. In his book, Get the Guy, Matthew Hussey - relationship expert, matchmaker, and star of the reality show Ready for Love - reveals the secrets of the male mind and the fundamentals of dating and mating for a proven, revolutionary approach to help women to find lasting love. Matthew Hussey has coached thousands of high-powered CEOs, showing them how to develop confidence and build relationships. Loved everything about this audiobook! Her Complete Texting Guide to Hooking Mr. Right and Keeping Him for Good! "Your cell phone is your secret weapon...it's time to use it wisely." You want him to hang on your every word, waiting all day long to hear from you. You want to show him that you're worth the chase and that you might just be the One. You know your flirting tactics, you know your best angles - but did you know there's a secret tool you've been ignoring all this time? Hi there, my name is Eric Monroe and I'm here to show you how to text your way into your man's heart. I've dedicated my career to helping single people find true love, and now I'm here to help you. Good advise for texting prospective dates..
Steve Harvey can't count the number of impressive women he's met over the years - the many incredible women who can run a business, have three kids, maintain a household in tiptop shape, and chair a church group all at the same time. So when it comes to relationships, why can't these same women figure out what makes men commit? According to Steve, it's because they're asking other women for advice when they should be going directly to the source. Did you know that men secretly use texting as a way to "pre-screen" a woman’s romantic value? A woman’s texting habits can reveal a lot about her self-worth, confidence, intelligence, and even her level of class and emotional maturity. Because guys covertly appraise a woman’s relationship potential this way, many women often have no idea that the way they communicate via text is actually sending the wrong message and thus, they unknowingly end up chasing men away. 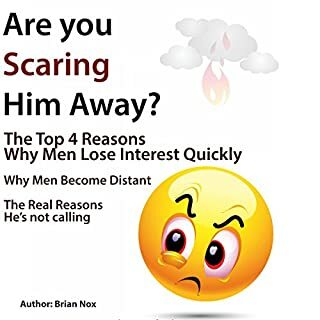 But with this insightful dating audiobook, you’ll learn the texting habits used by high-value women and gain access to a vast collection of irresistible, man-melting text messages that make men EAGER to text you back and desperate to see you again. 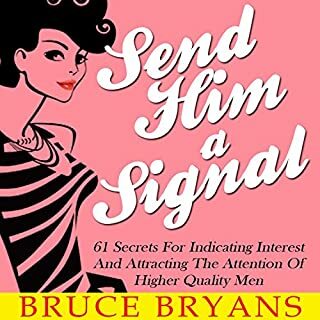 And because this in-depth guide focuses on how men think, it will give you a distinct advantage over your peers when it comes to texting men. Exactly what to text a guy when he’s stringing you along and only doing the BARE MINIMUM to keep you interested. How to use mischievous "Feisty Girl" texts to get a man to finally ask you out (or ask you out AGAIN) while making it seem like it was all HIS idea. What to do (and what NOT to do) if a guy suddenly stops texting you or starts responding to your texts less and less. How to get him to CALL YOU instead of texting all the time. 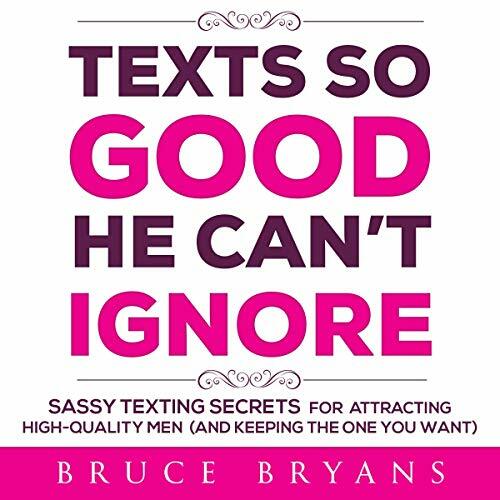 What to text a man to "let him down easy" but KEEP him interested whenever he sends an inappropriate or overly sexual text. Exactly what to text those flaky guys who keep "coming BACK from the DEAD" and suddenly start taking an interest in you again. A simple method for starting conversations that IMMEDIATELY grabs his attention and makes him EAGER to text you back. Get started right away and discover how to text a man to finally get him OFF of his smartphone and ON more dates with you. A helpful and encouraging book. Amazing!!!! wow, I learned so much!!! The advice is phenomenal!!! I even used his tips and it really worked immediately!!! Girls!! GET THIS BOOK!!!!! I CANT RECCOMEND IT ENOUGH!!! WAAAY too many “winky faces and emojis ” for my liking. Otherwise some good advice in the end.